To support the bandwidth demands on already taxed networks, providers are looking for solutions that can provide step-level improvements in operational efficiencies instead of just incremental advancements to support more capacity within the same area or footprint. 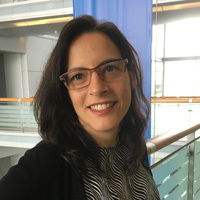 Helen Xenos details how two new platforms from Ciena will help tackle fiber densification challenges by packing maximum capabilities in a very compact footprint. This week as I meet with customers and talk to network operators at the OFC 2018 conference in San Diego, there is a pressing topic on their minds. It’s called Fiber Densification. As I previously discussed, this emerging trend around fiber densification is all about meeting the need to scale for maximum capacity in minimal footprint, with a solution that is very simple to deploy and operate. To that end, Ciena has introduced two new platforms this week at OFC that help pave the road to an Adaptive Network that is open, programmable, and can scale to meet massive and unpredictable bandwidth demands. Providing a first-class experience is the primary driver of densification – allowing network providers to deliver higher capacity connectivity to retain content quality even with the advent of new high-capacity applications. Ease of deployment and operations is also critical, with the quick roll out of network resources giving end-users have faster access to the latest digital services they rely on. While network providers are starting to see this is the destination they must get to, the question is how? Today, Ciena comes ready to enable network providers to adapt to these evolving networking requirements with two new products - the 6500 Reconfigurable Line System (RLS) and the 8180 Coherent Networking Platform. With these new products, Ciena is tackling fiber densification challenges head on to drive a better customer experience in metro and long-haul Data Center Interconnect (DCI), cable access modernization, and 4G/5G infrastructure builds. The 6500 Reconfigurable Line System (RLS) is a programmable, open, modular line system that scales to support the highest bandwidth requirements of metro and long-haul datacenter interconnect (DCI) as well as cable access applications. I know what you’re thinking – doesn’t the 6500 already support an open and programmable line system? Yes, of course. Openness and programmability are not new to Ciena. In fact, we were the first to offer and deploy an open line system in 2005 and have supported programmable, colorless directionless configurations since 2012. With the 6500 RLS, we are now expanding the options for how our customers deploy their line system (integrated or disaggregated) to address the diverse technology consumption models present in today’s on-demand environment. The 6500 RLS is optimized for, and limits its capabilities to, photonic line system functions – whereas the 6500 Converged Packet-Optical platform integrates packet, OTN, coherent optics and photonic line capabilities for operators that want to gain the efficiencies of deploying fewer platforms to handle diverse service requirements in their network. To allow for optimized footprint configurations, the 6500 RLS comes in several new chassis – with heights of 1RU, 2RU and 4RU respectively – that are twice as deep as 6500 S-Series shelves. It supports ultra-dense configurations that reduce footprint and enables network providers to double fiber capacity with L-Band support. What separates the 6500 RLS from similar competitive offerings are the depth of functions that it provides and the flexibility of configurations it supports. What separates the 6500 RLS from similar competitive offerings are the depth of functions that it provides and the flexibility of configurations it supports. It can scale from single span point-point metro DCI applications, to flexible metro infrastructure, to long haul flexible C+L CDC configurations with more than 1,000 add/drop channels per node. It also offers advanced programmability with embedded intelligence (such as integrated bi-directional OTDR and integrated ASE), and an open software architecture that enables increased automation through model-driven streaming telemetry and automated configuration provisioning. With the 8180, Ciena introduces the combination of packet aggregation and integrated coherent optics in a compact, stackable “pizza box” form factor for the first time. The 8180 offers industry leading optical AND packet capacities with support for 400G wavelengths and scales to 6.4Tb/s of packet switching, all in a compact 2RU form factor. Its modular design means network providers can start with a single coherent modem and add additional capacity as bandwidth requirements grow. With the 8180, Ciena introduces the combination of packet aggregation and integrated coherent optics in a compact, stackable “pizza box” form factor for the first time, with support for 400G wavelengths and scales to 6.4Tb/s of packet switching, all in a compact 2RU form factor. What’s really cool about the 8180, is that in addition to the efficiencies associated with integrated packet switching and coherent optical transport (ie. fewer platforms to deploy), customers also inherent the system benefits that come along with Ciena’s optical and software portfolio that eliminate network complexity. Wondering how far the optics will go on your fiber? You get link budget guarantees for a wide range of fiber and photonic configurations, as well as capacity planning tools to design your network. Embedded optical software provides seamless transponder and photonic line interworking for simpler operations and increased availability through Layer 0 protection and restoration. Wondering how to efficiently manage both packet and optical network layers? Blue Planet Manage, Control and Plan provides multi-layer provisioning and management through a single user interface. Want to evolve to a more automated and adaptive network? You also gain real-time visibility into network performance and on-demand capacity tuning with Liquid Spectrum. Customers also inherent the system benefits that come along with Ciena’s optical and software portfolio that eliminate network complexity. By introducing two new platforms with ultra-dense design, simple operations, advanced programmability and openness, Ciena is providing the right resources to address network complexity. This trend towards densification is just beginning, and as it continues to impact network providers, Ciena’s new 8180 and 6500 RLS will be there to enable network providers to thrive by delivering an incredible customer experience. Want to learn more about these new products and attending OFC this week? 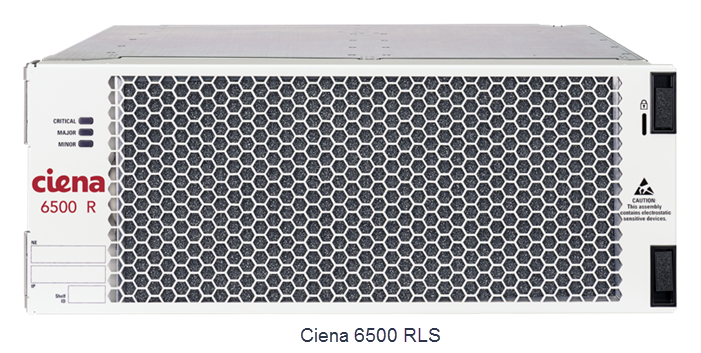 Ciena will spotlight both the 8180 and 6500 RLS in our booth #3850. We hope to see you there!